Along with bitternut, shagbark hickory is one of two native hickories in Nebraska’s eastern woodlands where it is often found growing on relatively moist slopes in association with oaks and lindens. Shagbark hickory is best used when planted in groups with other hickories or oaks. Transplant when small. Suitable to plant east of the 100th meridian the state. As its name implies, the tree produces a very prominent “shaggy” bark that peels off in long, curving straps as it matures. The pinnate leaves typically have five (sometimes seven) large leaflets that turn yellow in the fall. The tree produces a tasty nut encased in a 4-part, egg-shaped husk that splits open in the fall. 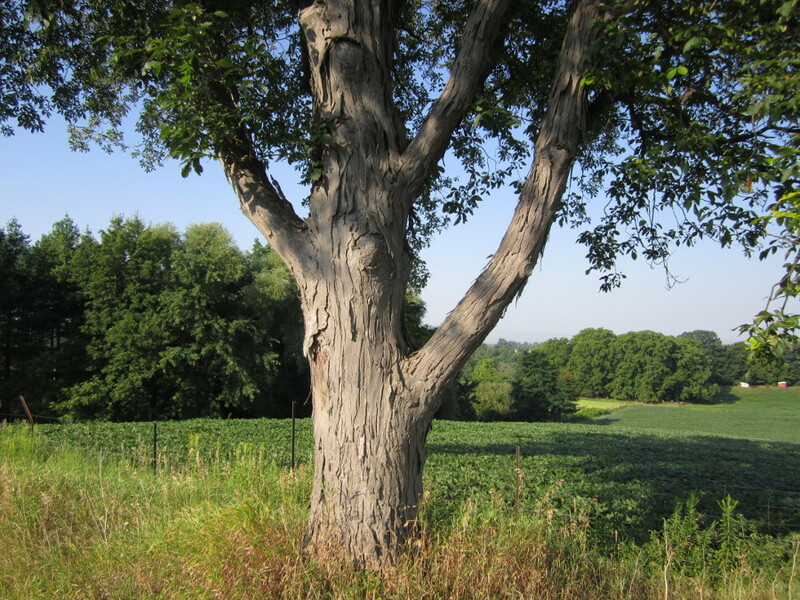 A similar species that may be of interest is the shellbark hickory.